Teenie Hodges, an intregal member of Memphis' Hi Rhythm Section and co-writer of such songs as Take Me to the River and Here I Am (Come and Take Me), died on Sunday at Baylor Medical Center in Dallas from complications of emphysema. He was 68. Born Mabon Hodges in Germantown, TN, Teenie began playing guitar semi-professionally in his father's band, the Germantown Blue Dots, at the age of 12. He later became a member of his brother's band, the Impalas. Willie Mitchell took a specific interest in Teenie and unofficially adopted him to give full time guidance in playing guitar and music. As Hodges improved, Mitchell recruited his two brothers into his band, joining them with Al Jackson and Howard Grimes of the Stax house band and his stepson Archie Turner. The new group toured extensively until the late-60's when they started to concentrate on more studio work. Throughout the 70's, they became an important ingredient of the Memphis Sound, playing with the likes of Al Green, Ann Peebles and Otis Clay. The group also tried to break out on their own with the 1976 album On the Loose (known as Hi Rhythm) and the 1994 set Perfect Gentlemen. Mitchell was also instrumental in teaching Hodges how to become a songwriter along with David Porter and Isaac Hayes. Hodges, Porter and Hayes wrote I Take What I Want for Sam and Dave. Hodges went on to co-write some of Al Green's best known compositions including Take Me to the River, Love and Happiness, L-O-V-E (Love) and Here I Am (Come and Take Me). After Hi Records was sold in the late-70's, Mitchell stepped away from music for a couple of years. He returned in 1979 and played with such greats as Albert Collins and Otis Clay along with occasionally getting back together with the original Hi Rhythm Section. One of Hodges biggest successes later in life was playing guitar and collaborating on Cat Power's 2005 album The Greatest. He later toured with her in support of the LP. 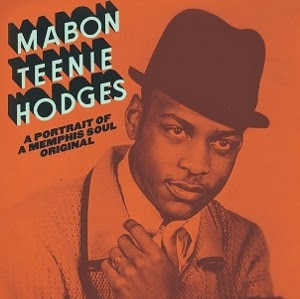 In 2013, filmmaker Susanna Vapnek released a documentary on Hodges, Mabon "Teenie" Hodges: A Portrait of a Memphis Soul Original, on which she had worked for the previous five years. During the documentary, Hodges talked about all of the covers that had been recorded of his songs but noted that his biggest royalties had come from the use of Take Me to the River in the Big Mouth Billy Bass novelty toy. Hodges became ill after appearing at South-by-Southwest in Austin in March and was hospitalized for pneumonia. He is survived by his eight children and his nephew, the rapper Drake. Funeral services are expected to take place in Memphis later this week.